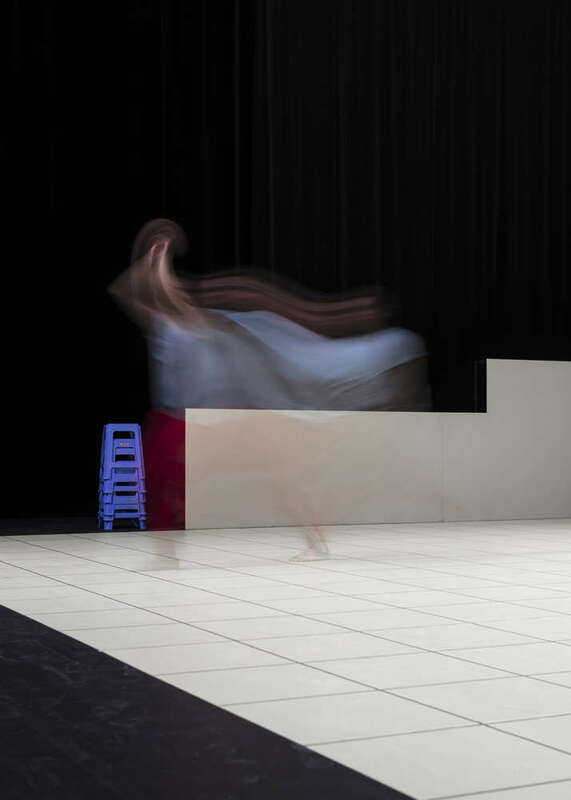 Oskar Schlemmer’s Triadic Ballet has become a sort of stabilised experience in my mind, something that is almost in every project I make, and me being more or less conscious about it depending on the endeavour. 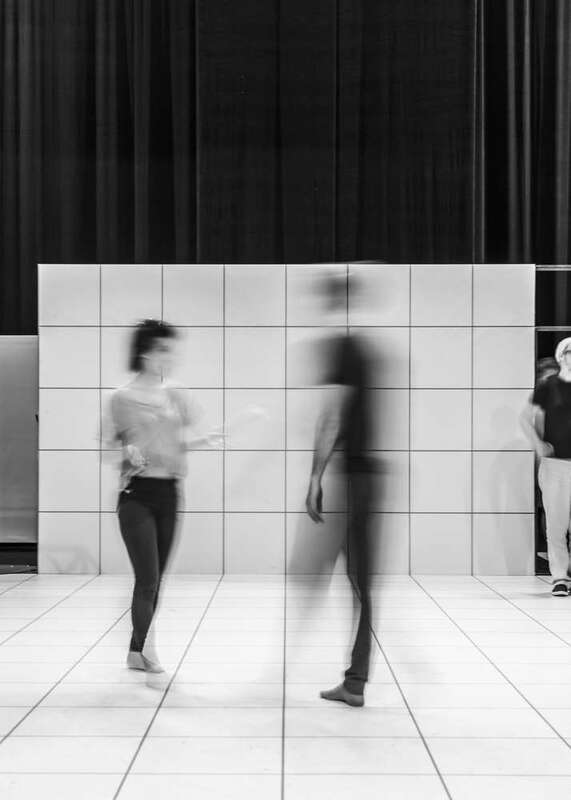 The very interesting creative process I went through with Oscar Gómez Mata, during the development of the Direktor, took us both to many cultural “places”. 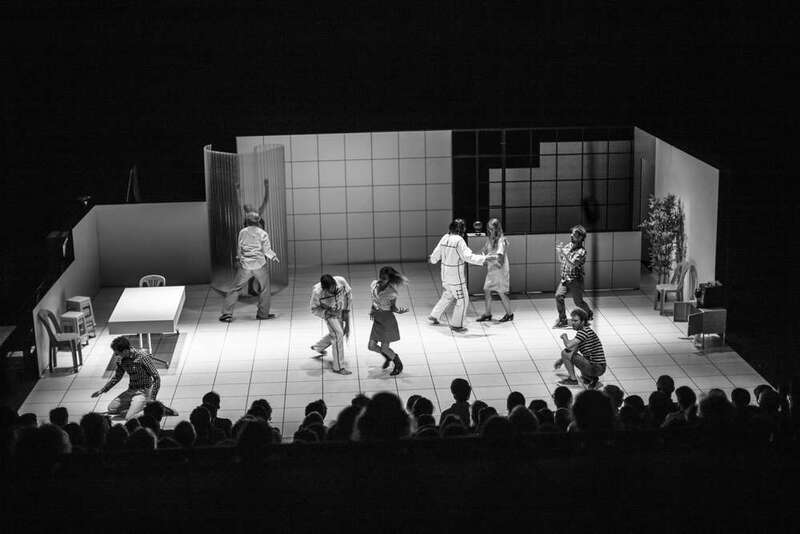 Lars von Trier’s incredible stage designs were the driving engine, particularly the Direktor and Dogville, but the rigorous scenes of Schlemmer appeared continuously and unconsciously to finally arrive to a sort of synthetic view of the Direktor’s space. 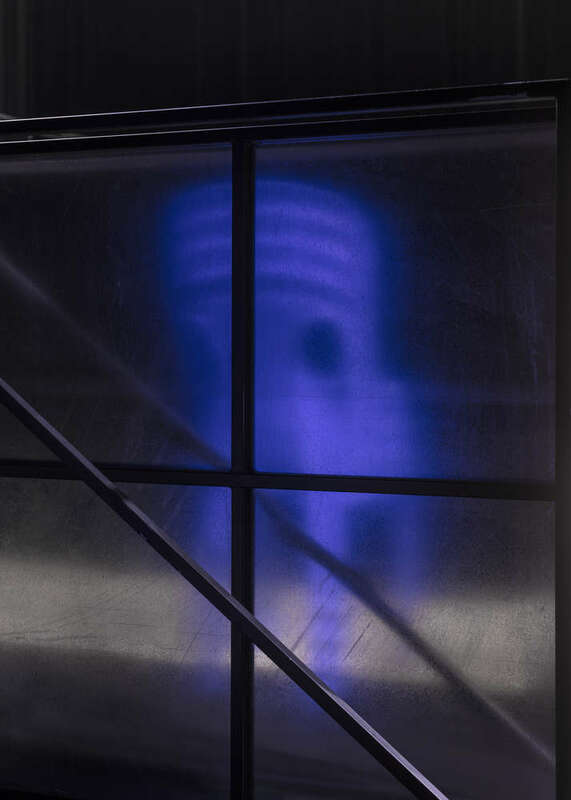 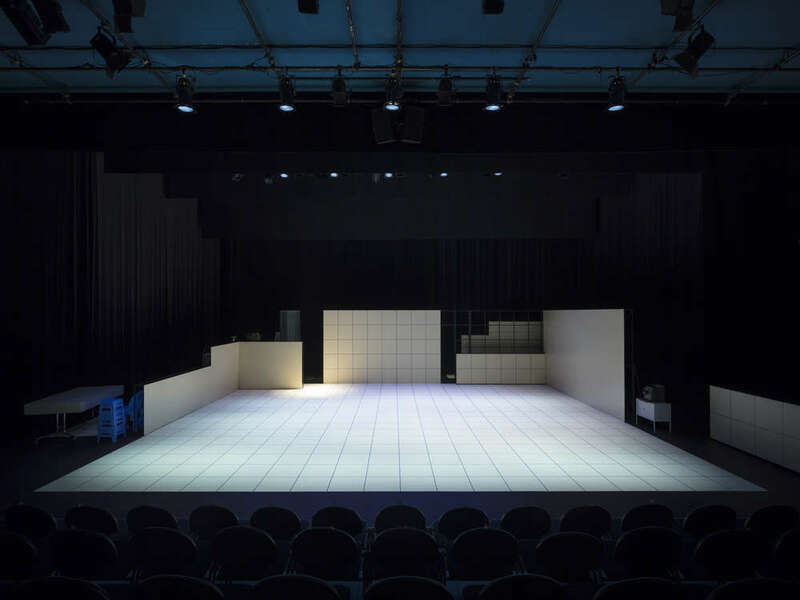 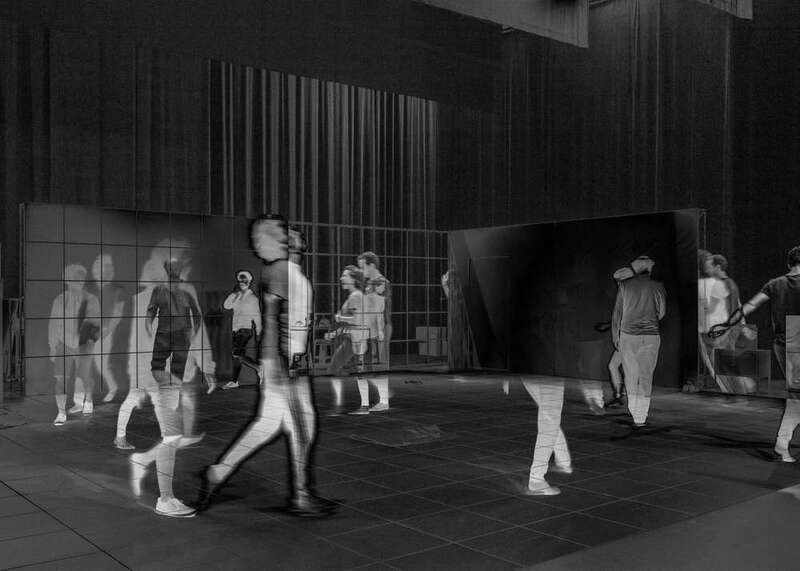 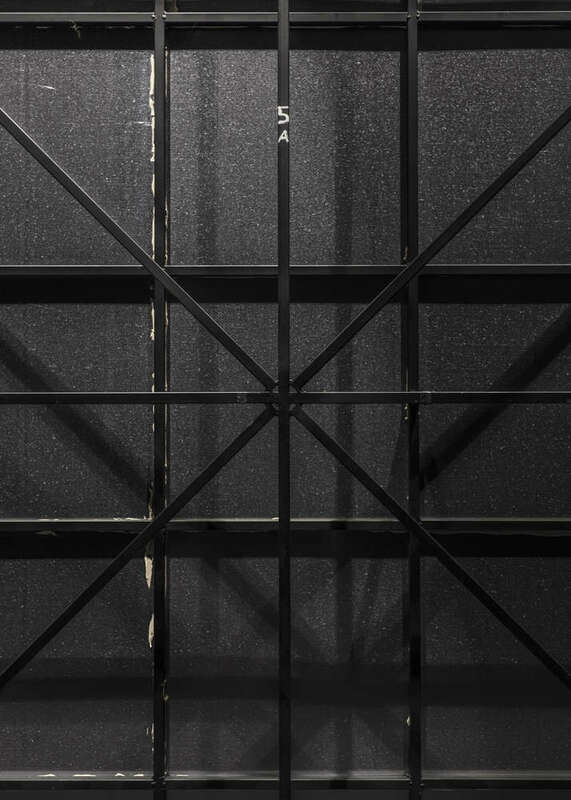 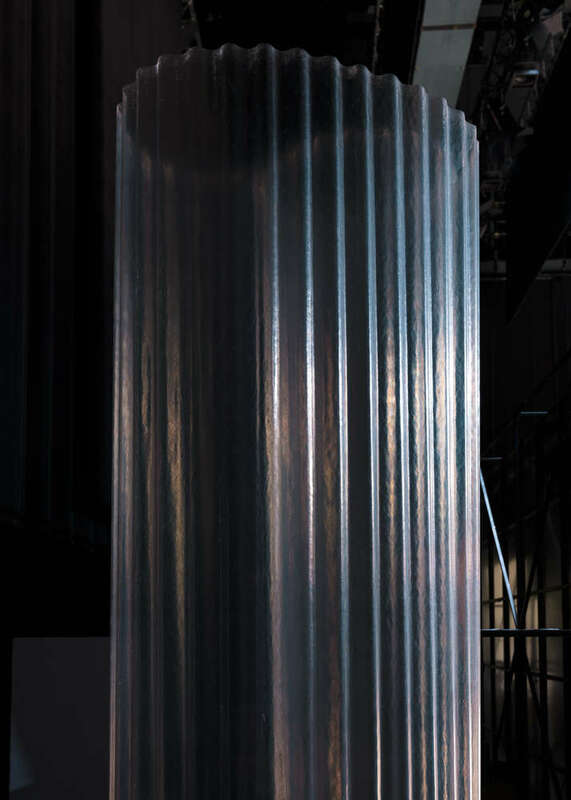 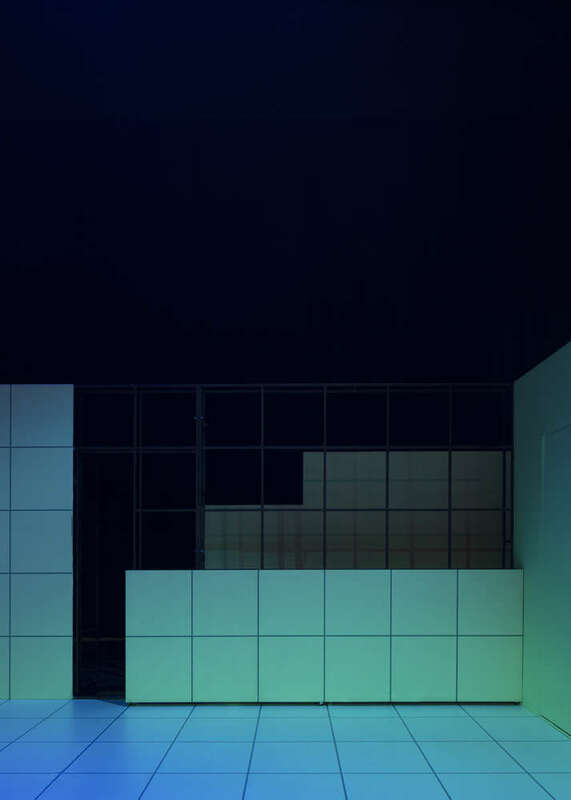 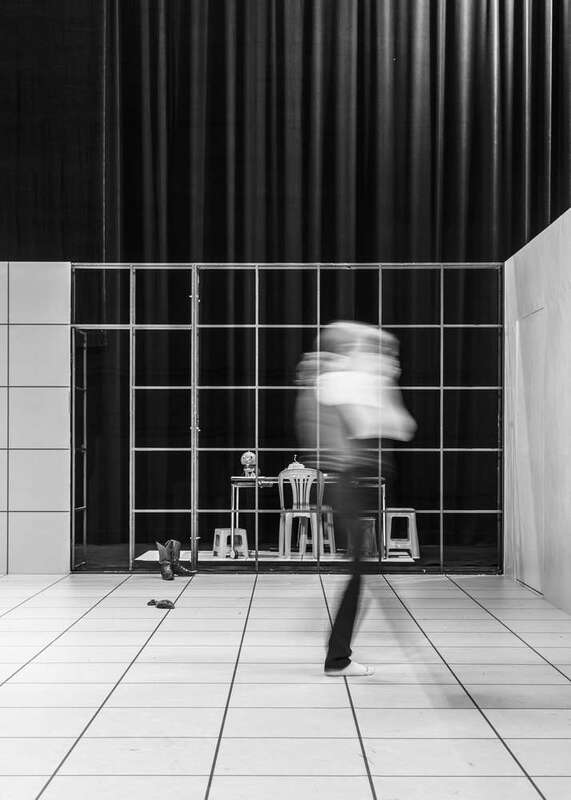 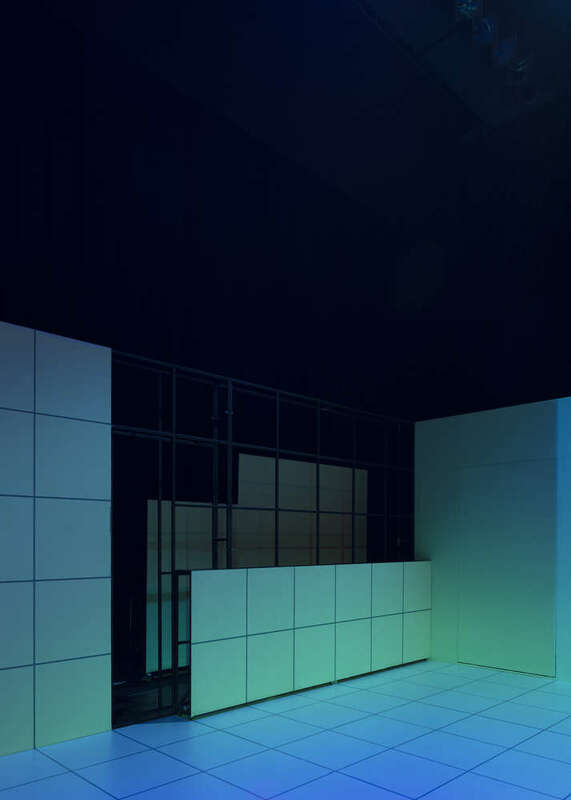 The design for the Direktor is not a stage, it is a double space, a dynamic one where a 3d grid supports the uncontrollable and burlesque action of the actors and a visible backstage from where actions are prepared as an integral part of the play. 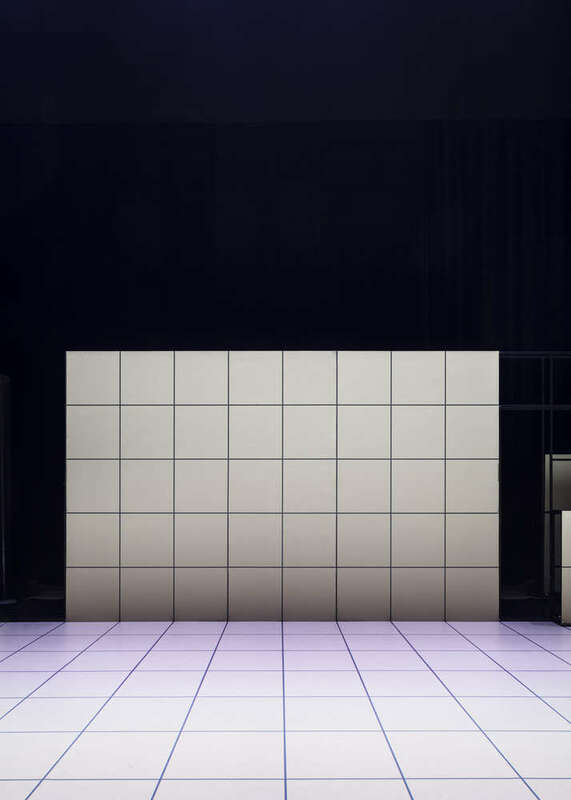 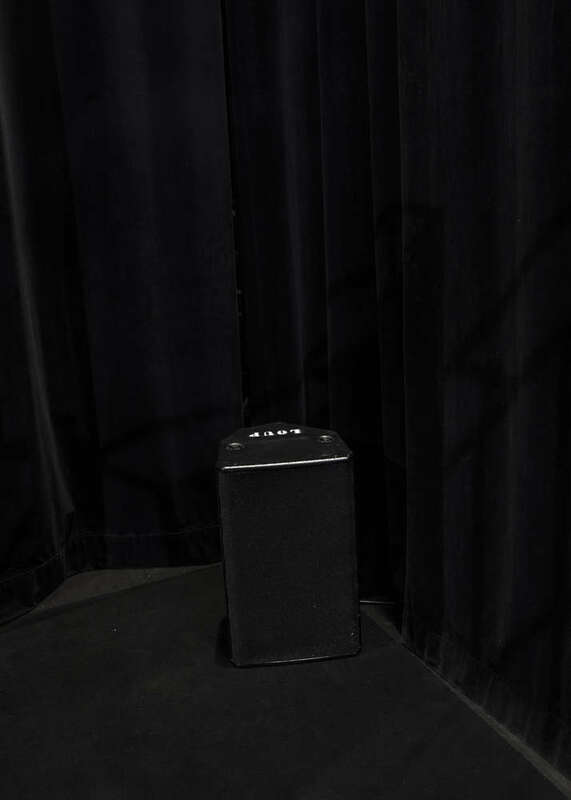 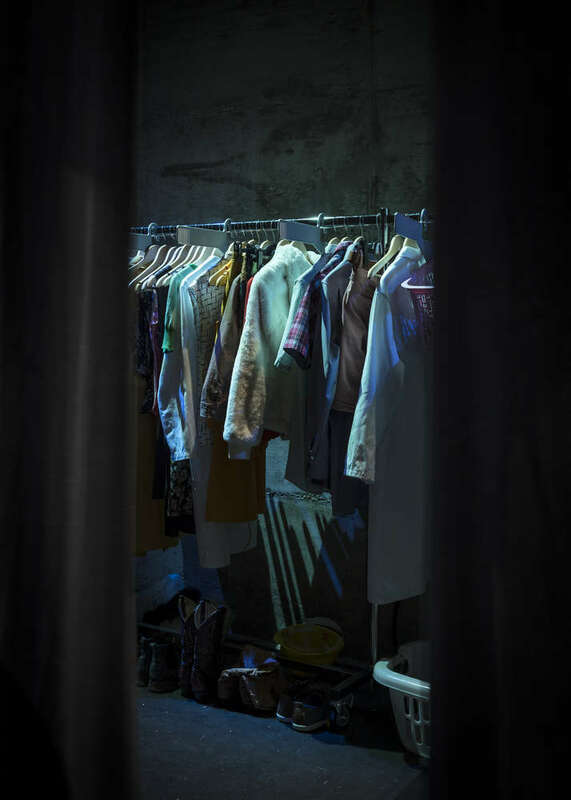 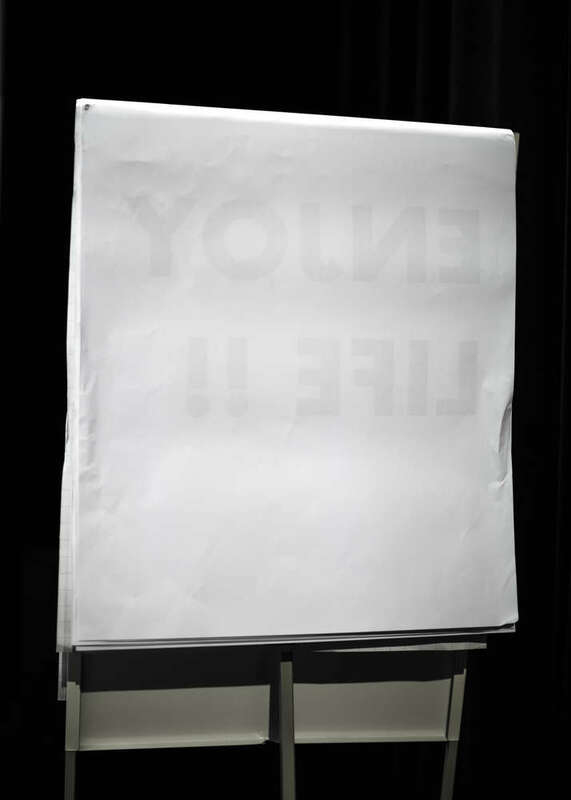 All of the objects circulating on stage are considered “as found” pieces, part of a recognisable popular catalogue allowing to sometimes break the abstraction.